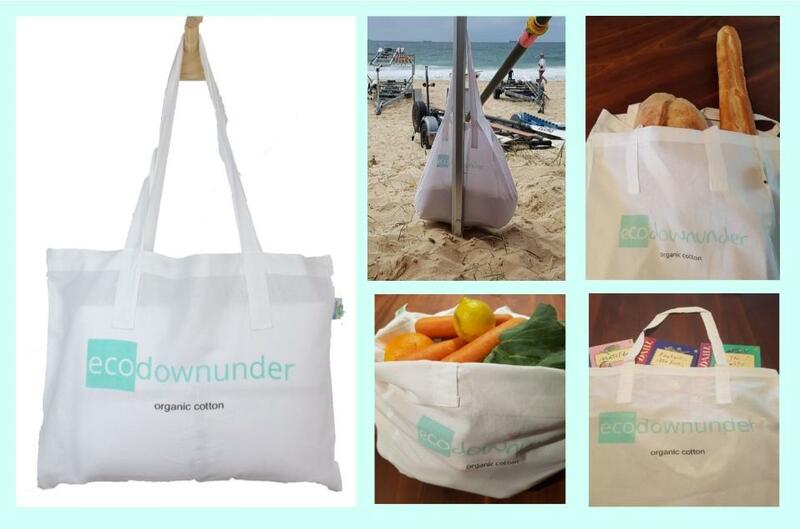 Ecodownunder Makes a Successful Transition to Plastic Free Packaging! In another locally sprung first Ecodownunder, the company that brings you those brilliant and luxurious sheets and quilt covers, towels and a lot else of what you may need for around the home BUT without causing damage to the environment, has stepped up once again and rid all their stores of plastic packaging. All other retailers - please take note! “Single use plastic packaging is having a massive impact on our environment and the ocean. We’re delighted that we’ve finally got to the point where we’ve removed the last plastic packaging from our stores.” Russell Lamb, founder of Ecodownunder, said this week. From the very beginning over 20 years ago, the focus at Ecodownunder has been on sustainability and whilst “it’s been a challenge to be both eco-perfect and commercially viable, we’ve done everything we can to minimise our footprint on the environment. Removing plastic packaging from our stores was a transition we had to make to meet our own sustainability objectives.” explained Russell Lamb. Co-owner Beverley Tilbury said the process of removing plastic packaging wasn’t easy, but was worth it! Ecodownunder had been using bio degradable shopping bags but these were still just plastic. And all plastic breaks down into tiny micro particles which end up in the ocean. So they committed to removing these bags from their stores and introduced organic cotton shopping bags which their customers love and use over and over. Phasing out plastic packaging on products was a more complex transition. After many discussions with suppliers, they found different ways to pack their bedding without plastic. Some products like linen, wool quilts, pillows and under blankets are now packaged in specially made cotton bags, designed product by product. Most sheets are packaged with a cotton ribbon. The response from customers has so far been extremely positive. Most are appreciative of the extra effort to eliminate single use plastic. Launched in 1997, as Ecodownunder celebrates its 21st year, they continue to lead the field in producing high quality items with a steady eye set firmly on looking after the environment - now isn't that the best 'coming of age'? Based on Sydney’s Northern Beaches, with 12 retail stores in Sydney and an online store serving customers throughout Australia, “We live, work and play by the sea and it inspires much of what we do. So it was important to us to make the commitment to remove all plastic packaging from our stores to ensure we don’t contribute to this nightmare of plastic getting washed into our oceans.” said Russell Lamb. Ecodownunder’s focus on sustainability has meant they’ve always avoided the use of synthetics like polyester, acrylic and micro fleece in their products. These textiles are essentially plastics made from non-renewable resources which shed micro fibres when they’re washed and worn. Microfibers end up in the ocean and are now thought to be a bigger problem for ocean pollution than single use plastic like bottles, straws and coffee cups. Ecodownunder also avoid the use of harsh chemicals in their production process so where organic cotton is not viable, they’ve created an eco-cotton product which is free of the toxic chemicals used in the manufacture of many cotton textiles. This makes it so much more comfortable to sleep in because the fabric can breathe and has become a signature product for the company.